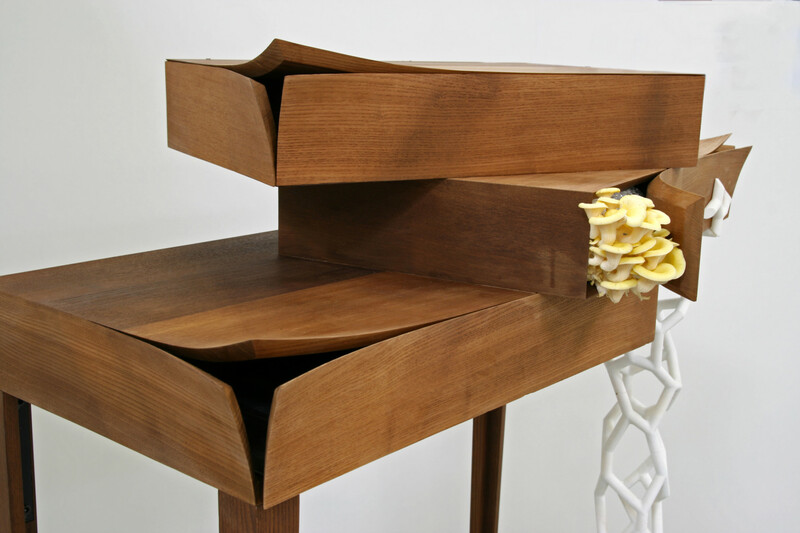 Fungi is a wooden cabinet that allows one to grow his own edible mushrooms at home. 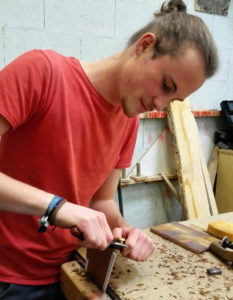 This piece of furniture was made in 2017 and it is a one year project for my degree in design and cabinet-making. There are many parasites in our daily environment. Air pollution, noise, hustling and bustling, advertising can be perceived as intrusive and disturbing. My project, called Fungi, inclines to get closer to a healthier and more natural way of life. It is a wooden cabinet which is invaded by a parasite. There are many parasites in nature, but I was particularly interested by mushrooms, which have a dual aspect. They can be both destructive and extremely positive. Mushrooms can also interact with many other beings by creating a symbiosis, which benefits everyone. 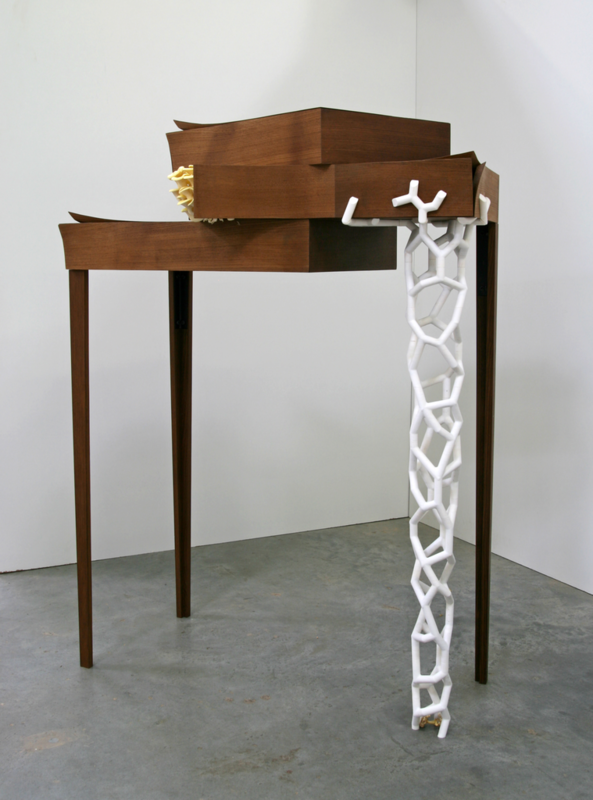 I chose to create a symbiosis between my piece of furniture and its parasite. 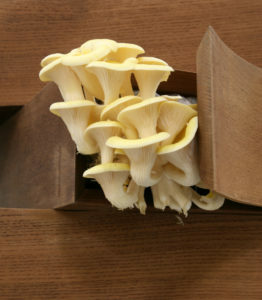 So from this noxious invasion emerges a positive result : the growth of edible mushrooms. 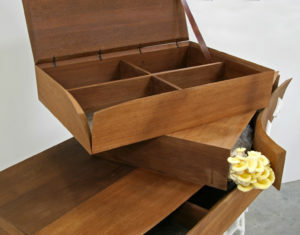 This piece of furniture is made of 3 drawers which are designed for mushroom growing on coffee waste. It also includes storage for a spray, little bags, a mushroom knife and a 80 pages book which explains the project. It is 120 cm high, 90 cm wide and 45 cm deep. The wooden part of the cabinet is made of heated ash wood, which is rot-resistant and stable when exposed to moisture. All the warped corners are steam bent, using different moulds. 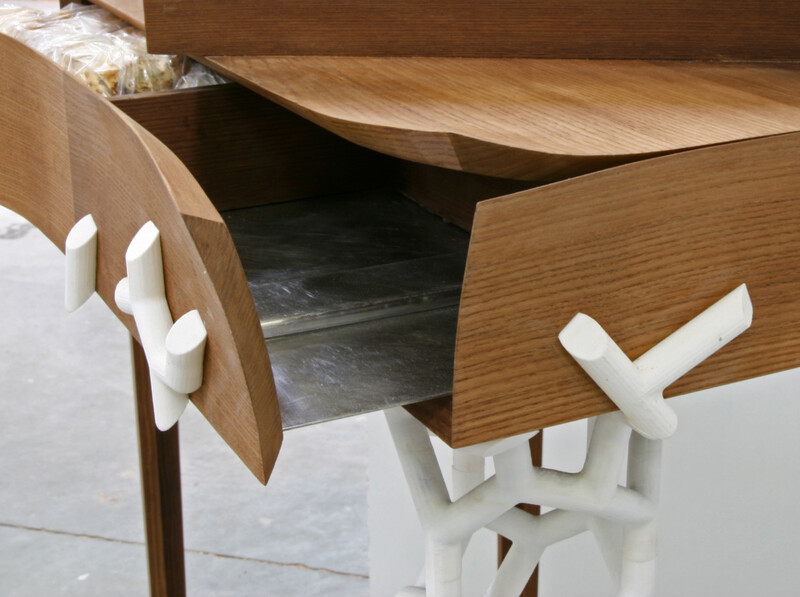 I used Stainless steel for the drawers bottoms, which involved bending, cutting and welding. 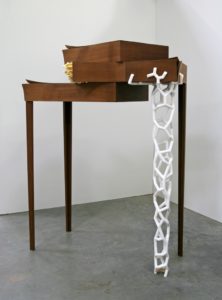 The white parasite was 3D modeled and printed in a bio-plastic made of starch, then filled with a mix of straw and mushroom mycelium, thus creating a durable and strong composite material. I developed a partnership with the FabLab of Grenoble (France) for this part of the project.